5 oz. (141.75) (0.312pound) resealable pouch. 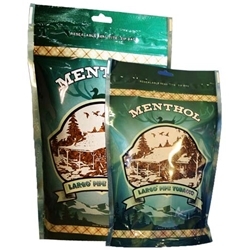 Largo Pipe Tobacco is made of expertly cured Burley and Virginia tobaccos blended with a perfect balanced of a low flavor intensity with a mellow smoothness that keeps smokers coming back for more and more. Domestically grown in the USA, Smokers Discounts offers this great brand at a low discount price!